In a recent post, I talked about the use of fans and micro-thin heat pipes to cool smartphones. 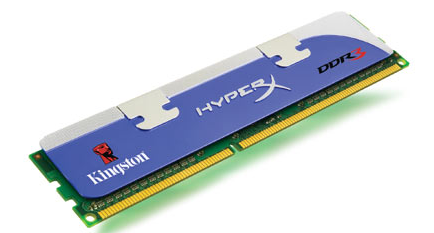 Today, I’d like to take you through a project Celsia tackled a number of years ago; cooling performance DDR3 ‘gamer’ memory modules using ultra-thin vapor chambers. This example should serve to illustrate the design advantages of vapor chambers over heat pipes as well as to comment on how consumer perception affects product success. Whether it’s the CPU, graphics card or memory modules, PC gamers are notorious for demanding products that push performance limits. What’s better than being able to seamlessly run a taxing application in a higher resolution, fire an extra round of ammunition before your opponent, or having the bragging rights to the coolest looking gaming rig around. Nothing! Mushkin approached us several years ago about creating a memory module cooler that helped gamers build this kind of machine. For most of us, bare-naked modules are just fine. Gamers’ speed requirements drive them to seek the fastest, most stable components which are then overclocked. The added heat generally requires more robust thermal solutions where every degree counts. In the case of performance memory, the most common solution is a simple aluminum spreader as seen below. Attempting to further cool these modules, many of the top companies added one or more heat pipes. While visually aggressive, these coolers rely on the aluminum side spreaders to transport heat to the two phase device, limiting their thermal transport efficiency. Later models tried to solve this problem using flattened heat pipes that made direct contact with the heat source, although they appreciably increased the overall thickness of the module and didn’t entirely cover each FBDIMM. Moreover, both of these solutions increased the height of the heat sink to the point where they couldn’t be used with larger, more extravagant CPU coolers – memory slots are typically located very close to the CPU. Celsia’s challenge was to design and manufacture a low profile solution (x,y,z dimensions) that increased both heat spreading and dissipation while still allowing the use of any CPU heat sink and the ability to populate every memory slot. Since the mid-2000’s, we had been working on perfecting the thermal efficiency and mass production yield rates of one-piece vapor chambers. These devices differ from heat pipes in that they can be made thinner while still allowing adequate vapor flow. They differ from the traditional two-piece vapor chamber designs due to both lower cost and reduced thickness. In either case, this new solution needed to outperform existing competitive offerings while hitting cost targets. We modeled and turned around our first prototype within a few weeks. A couple of design tweaks later, we arrived at a solution which used two 1.5mm thick vapor chambers and TIM material sandwiched between ribbed aluminum spreaders with a small vertical fin stack. 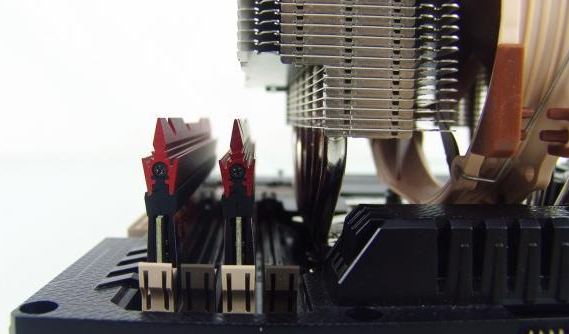 Mushin attached this heat sinks to their top of the line memory and named them “eVCI Coolers” (enhanced vapor chamber interface – oh those marketing folks). In addition to meeting all the design and performance criteria, it was the first time vapor chambers had been used to cool FBDIMMs. Mushkin tested this heat sink against bare modules, in real-world gaming scenarios, in order to highlight the benefits. The temperature of modules without a heat sink was 43.7 degrees C above ambient while those using eVCI heat sinks measured 22.7 degrees C above ambient. In spite of achieving some really stellar thermal performance figures against many FBDIMM heat sink styles, these modules were not received well by the market. Perhaps because they were thermally cool but not visually cool, gamers opted for a more in-your-face design. Maybe elaborate heat pipe solutions just looked like they’d cool better. Market mysteries! But, it might serve as a lesson to thermal engineers who design for consumers whose devices are viewed as an extension of themselves and who revel in technical achievement as well as visual appeal. This project is a good example of how ultra-thin vapor chambers can be used in space constrained environments. Power and power densities were low enough in this application to allow for a custom mesh wick to be used while a one-piece vapor chamber design kept the cost down. If you’d like to learn more about how Celsia can help with your next heat sink project, please contact us. We’ve worked on everything from consumer devices to industrial test equipment that require heat sinks to cool anywhere from a few watts to a few kilowatts.